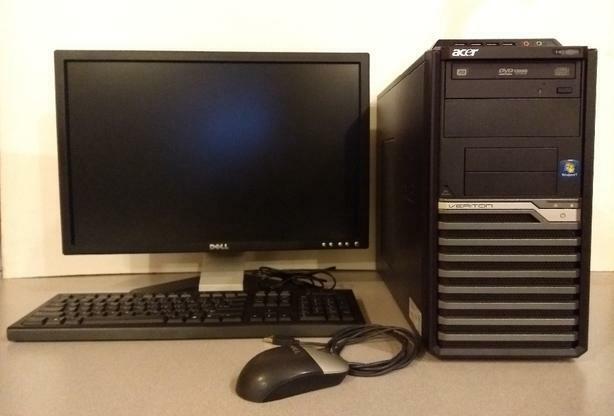 This is a basic PC for general tasks such as internet, email, word processing etc. It also has a hardware decode capable graphics card with an HDMI port so it can stream pretty much anything to your TV as well (Netflix, YouTube, downloads etc). It has been extensively tested in both performance and stability and each component has been separately tested to ensure it is working properly. It has space for several additional hard drives to store media files if desired for use as a media server. It's not a powerhouse gaming PC but it is a solid computer running the most current OS available that will perform any basic task without issue. The PC was fully tested with a 12hour run of Prime95 (a well accepted test of PC stability) and a 4k UHD video test loop with zero issues, smooth playback and a peak CPU load temp of 53C with fans on silent mode (very good). I have been building PC's as a hobby on and off for over 20 years for myself and friends. I recently had built several for some friends wanting to play eSports games and ended up a bit over budget, and with way too many extra parts left over. I decided I could keep my hobby going and recoup some costs by buying the remaining parts needed and putting together a couple more PC's to sell. As I do this as a hobby, and not as a business, I do not offer a warranty of any kind, but I have easily run over 24 hours of stability and performance tests, purchased new parts where needed and put in many hours of my time to make sure everything works and performs as it should. PC is located in Duncan.